Living rooms will forever be the center of contemporary homes and since they’re now being used to entertain guests, it is important that the visuals emulate both a relaxing as well as a stylish vibe. The trendier way to emulate comfort is to go with a casual foreground with a dash of fashionable back work. There are many ways to go about this concept – you could play with the media wall, the adjoining spaces, the furniture and the lighting. All of these aspects are key to the visual impact of any interior design, and can be paramount to stylizing the impact of your living rooms. Below, we’ll be sharing 6 tips to glam up your living room interiors. 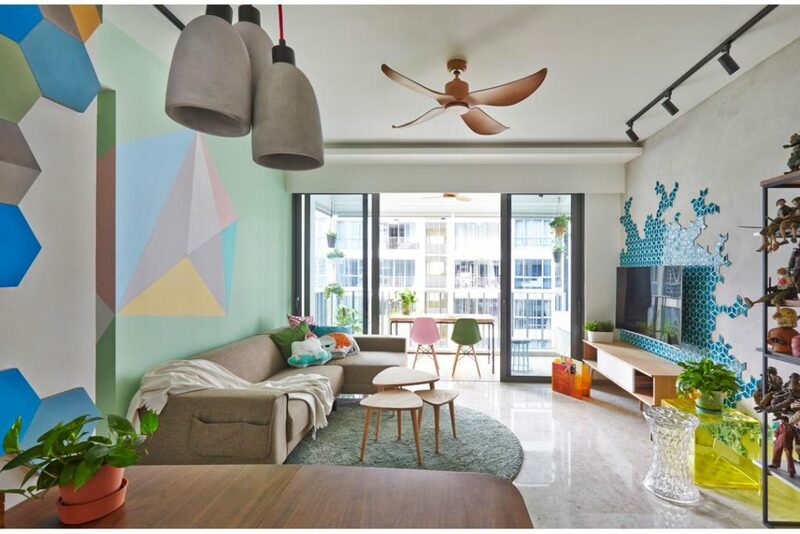 This interior is all about making the best of the existing space with the help of simplified design techniques. The furniture has been deliberately chosen to infuse comfort within the space, while the back wall has been ramped up with unique lighting interventions. 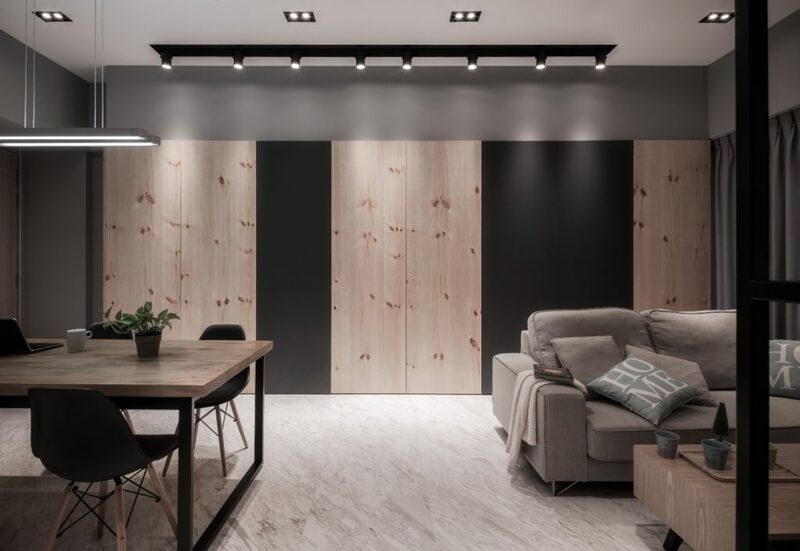 The alternating wood and black classing is the epitome of trendy, while the retail style spotlight accentuates the unadorned simplicity of these surfaces to emulate an elementary fashion sense. Media walls are always the mainframe of every living room and have the potential to elevate the overall aesthetic to a new level. 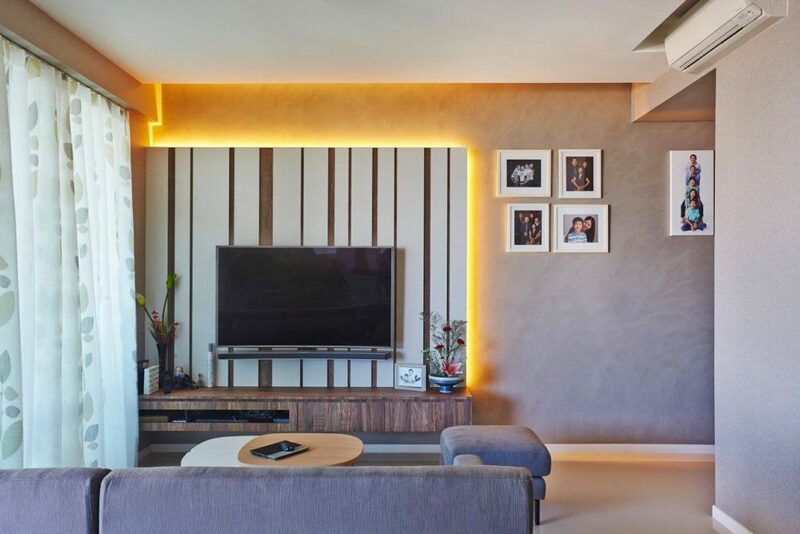 The design in the image below has been deliberately glammed up with cove lights and stripped textures to create a glitzy aura while the furniture contradicts with a comforting vibe of its own. Incorporating low-height objects within living rooms can make them seem spacious and contemporary. The image below showcases a good example of this concept, where the suspended media console and the low-height sofa make the space seem more size-able than it is. 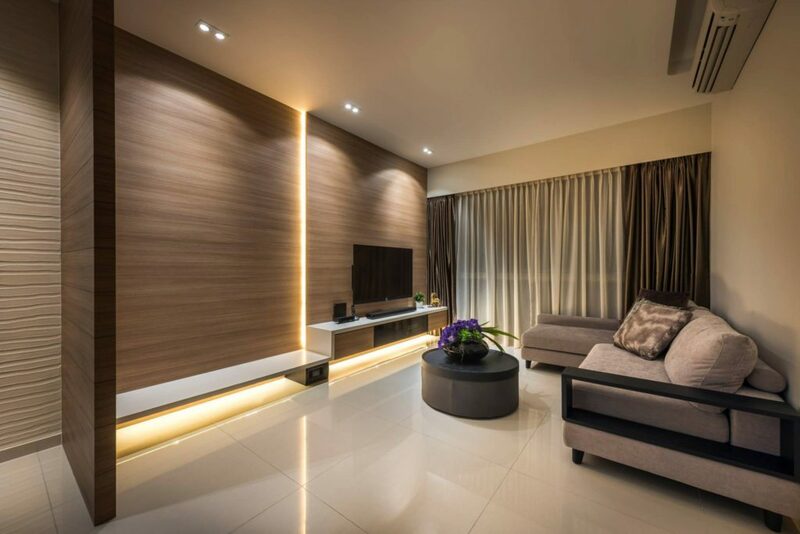 The easiest way to stylize your living rooms is to incorporate large, smooth surfaces decorated with strategically located lighting. This simplified version of glitzy can seem very trendy and fashionable with a dash of sophisticated, as shown in the image below. Neutral colors may seem drab and boring on the surface, but with the right accents and contrast they can seem very trendy and alluring. 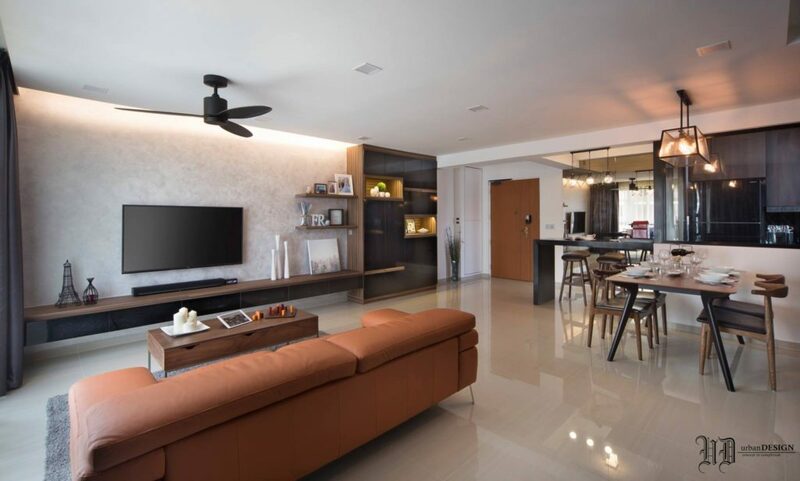 In the image below, you can see how the grey tones have been accentuated with the right textures, materials and natural lighting, creating a chic and impactful interior space. Using multiple colors can be a challenging task, especially in a centralized space like a living room. 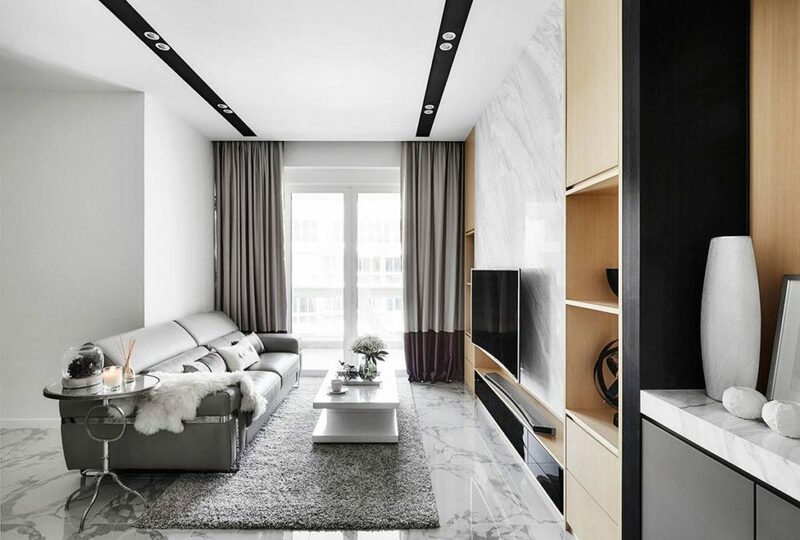 However, with proper contrasting, relevant materials as well as a good eye for accessorizing can definitely make for an interesting interior incorporation.